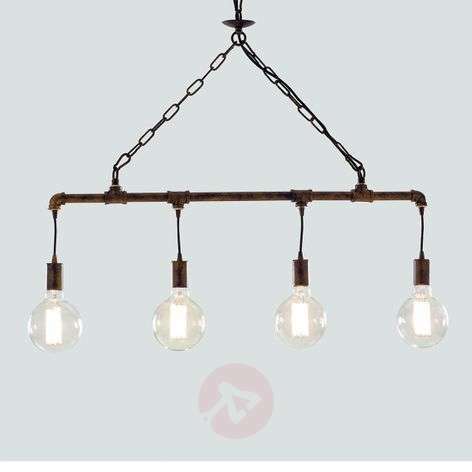 The designers have conceived a really original look for the hanging light Amarcord. 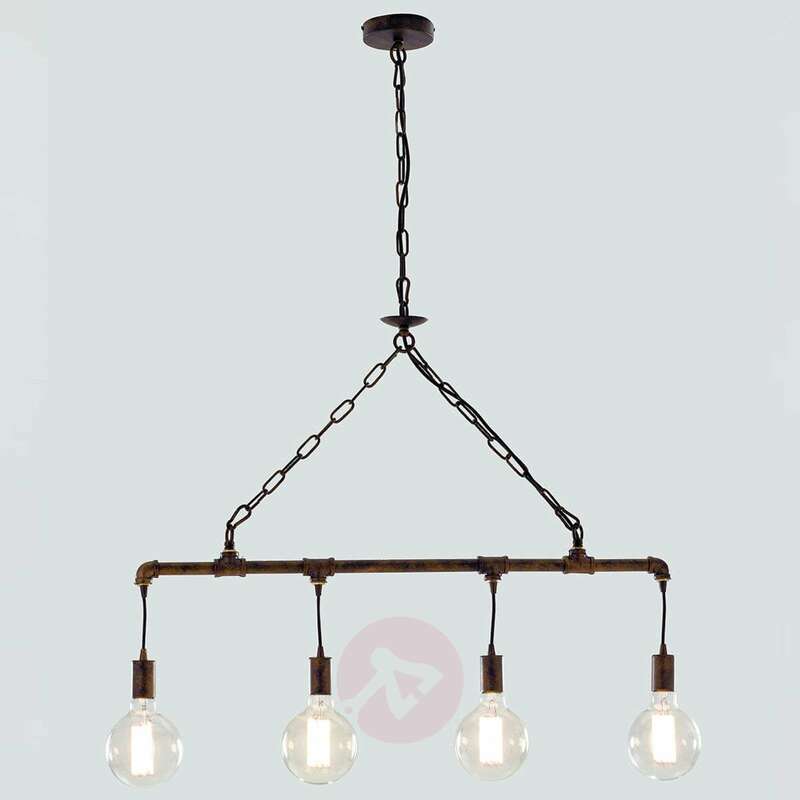 A rustic chain suspension system holds a long pipe - a pipe in the truest sense of the word. The frame of the light looks similar to a water pipe. There is also the antique surface of the light, which has an industrial rusty colour and goes wonderfully with the rest of Amacord’s design. 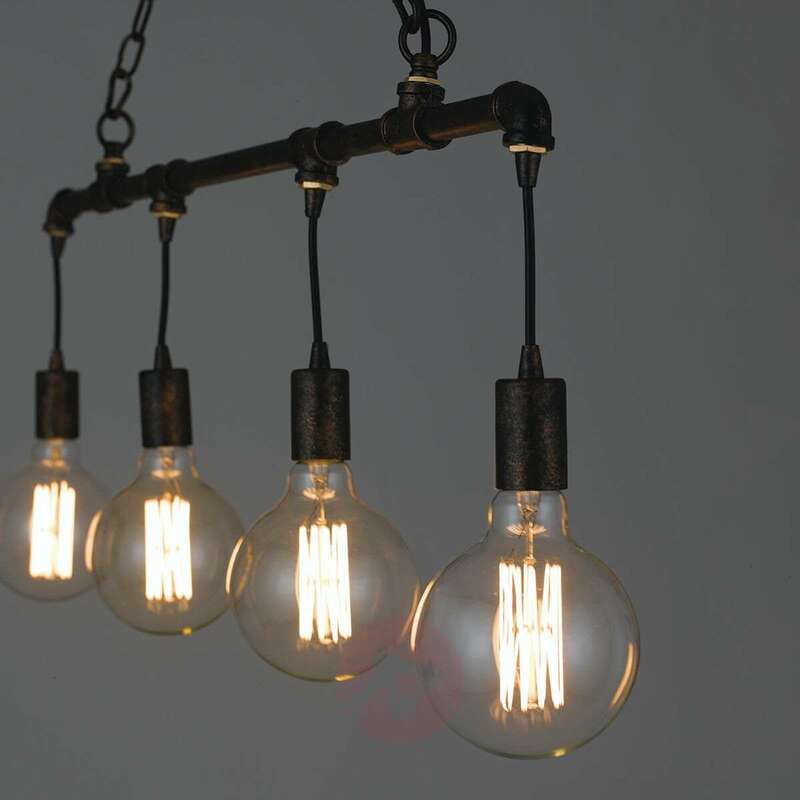 Suitable globe bulbs round off the amusing design of this hanging light and even allow a distant association with drops of water.